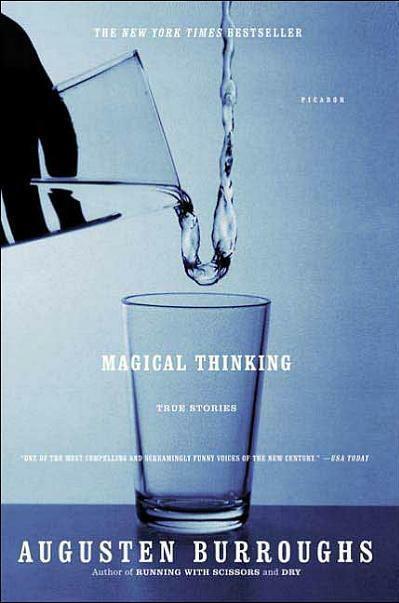 I enjoyed Magical Thinking by Augusten Burroughs and was entertained but didn’t think it was one of his best books. It felt kind of like the book was written because the author already had a book contract and had obligations to fulfill. I also had this feeling about David Sedaris’s book When You are Engulfed in Flames. While I have loved things that both of these authors have written and think they’re both clever and witty with interesting perspectives on life, I don’t think When You are Engulfed in Flames would make me a Sedaris fan and I don’t think reading Magical Thinking would make me a Burroughs fan.